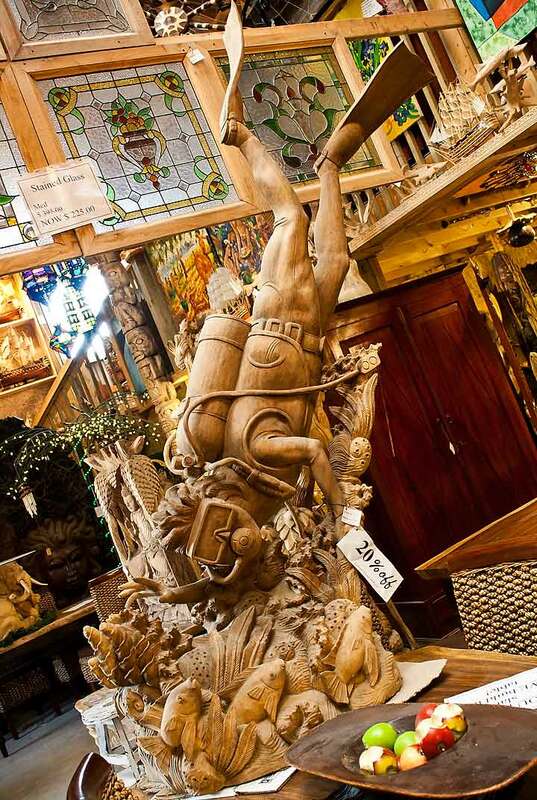 Another wood carving from Primitive Designs in Port Hope. Artist: Todd Tremeer. 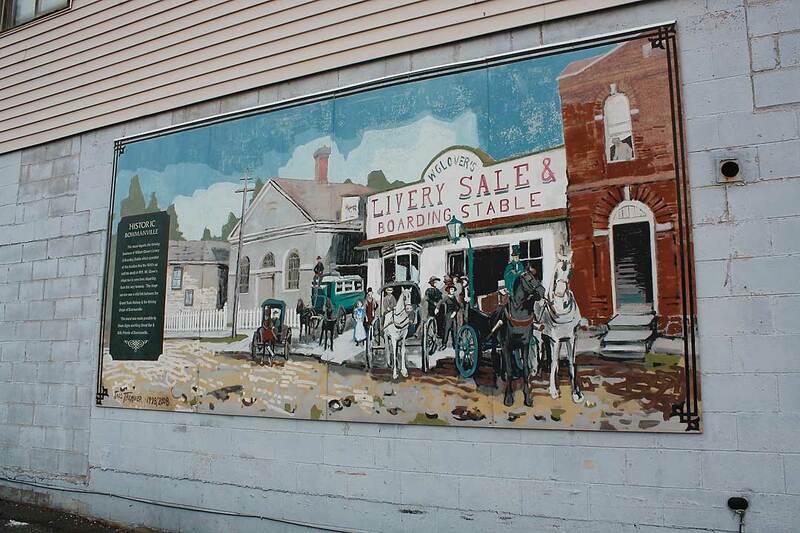 This mural depicts the thriving business of William Glover's Livery & Boarding Stable which operated at the mural's location thru the 1800's up until his death in 1911. 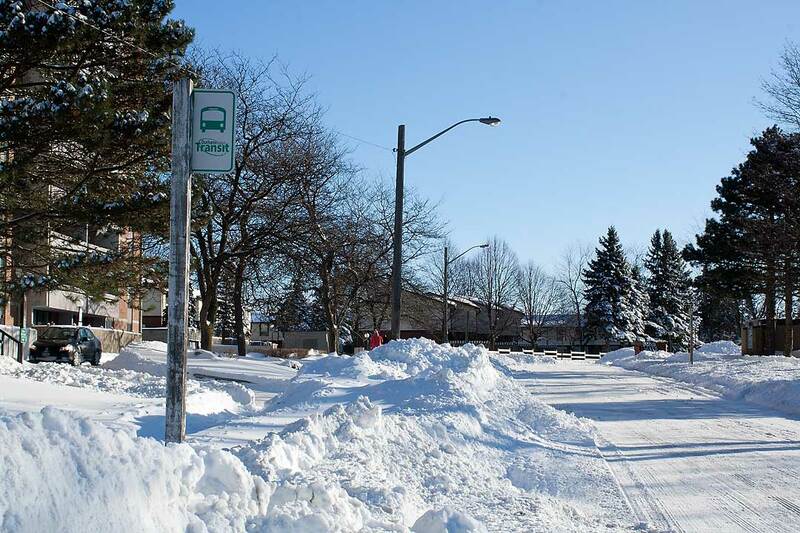 Mr. Glover's stage bus is seen departing from this very laneway. The stage service was vital link between the Grand Ttunk Railway and shops of Bowmanville. 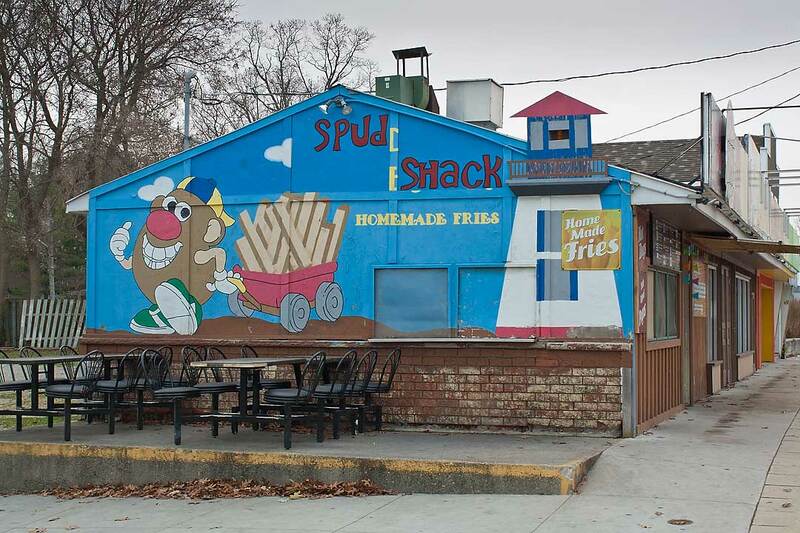 This mural was made possible by Swan Signs and King Street Bar & Grill. I'm linking to Monday Mural. The scene is bright and sunny but in reality it's a cold winter day. I was one of a handful of people that ventured out into the cold. A good day to leave the car at home. 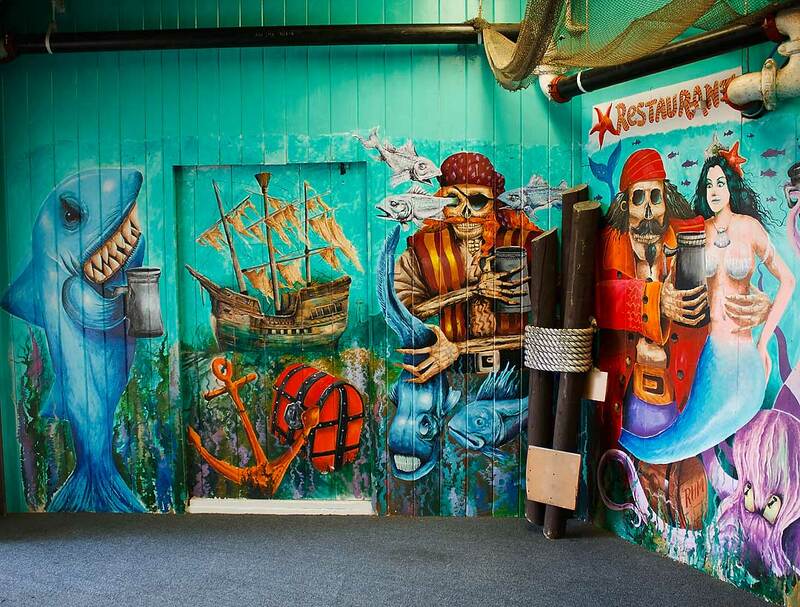 This colourful indoor mural can be found at the entrance to a restaurant in Boothbay Harbor, Maine. I'm linking to Monday Mural. I have the winter blahs and found the need to post a photo from last summer. Albert Camus said it best... In the depth of winter I finally learned that there was in me an invincible summer. The red, red soil of Prince Edward Island is famous for growing potatoes. I'm linking to Rurality Blog Hop. Artist Jeff Jackson: Painted July 1992. 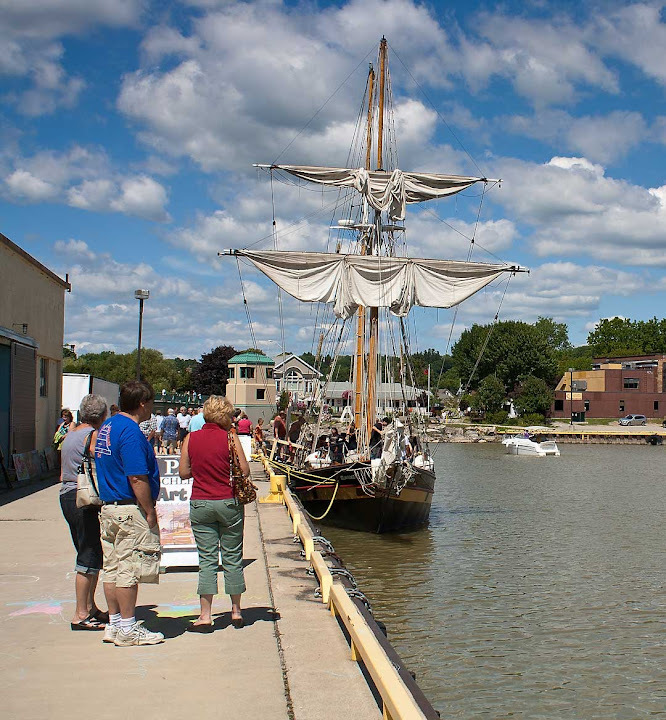 The Onondaga was built near Kingston, Ontario in 1790 and served as flagship of the Provincial Marine until her retirement in 1797. This was the ship in which Lieutenant-Governor John Graves Simcoe and his wife Elizabeth sailed across Lake Ontario, from Niagara-on-the-Lake to the town of York, (now Toronto) to establish the capital of Upper Canada (now Ontario). 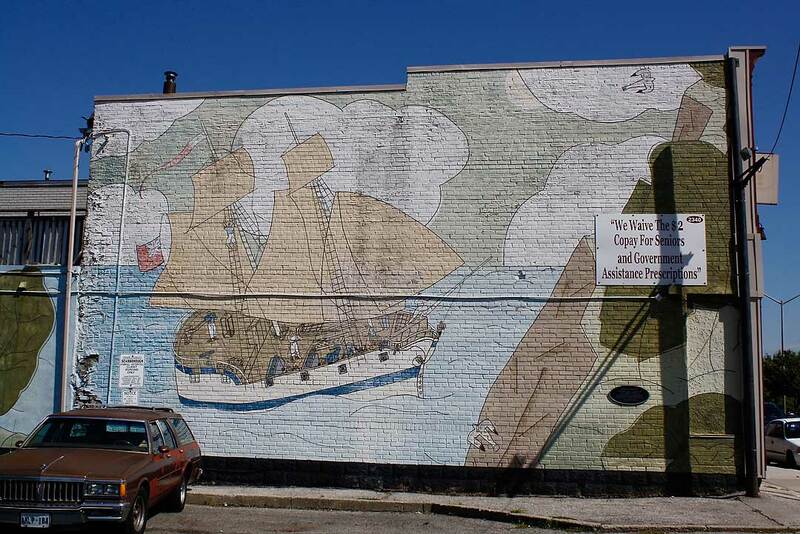 The mural is over 20 years old and the colours are fading. I'm not aware of any plans to restore the it to it's original state. I'm linking to Monday Mural. 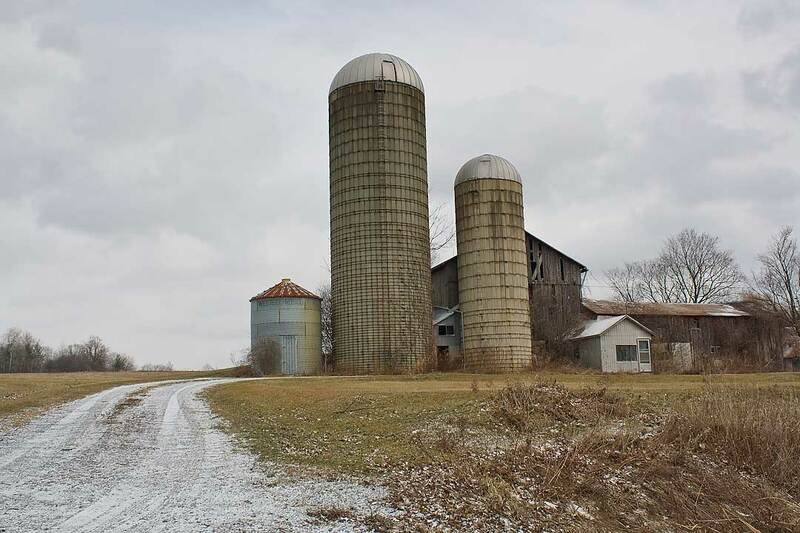 It was the grainery and the two silos standing in a row that caught my eye. And yes that white stuff is a slight dusting of snow on the roadway. 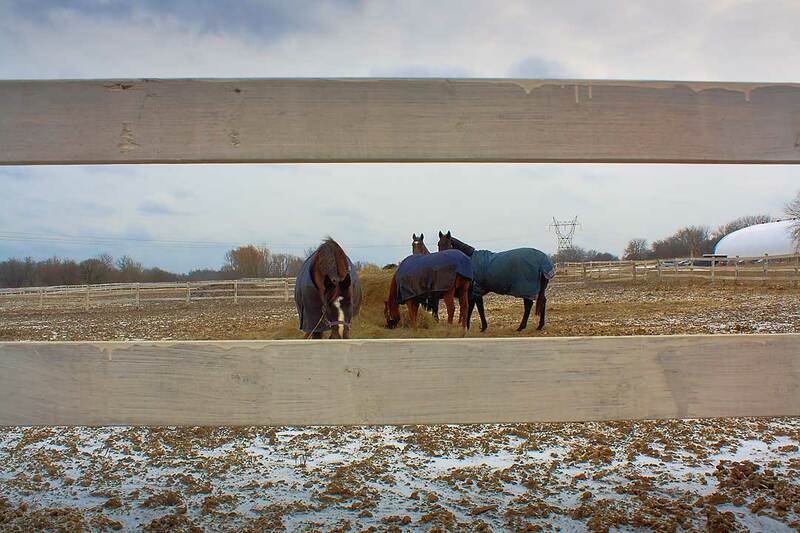 From my car I spotted these horses feeding from a pile of hay. I parked the car and began walking towards the fence. 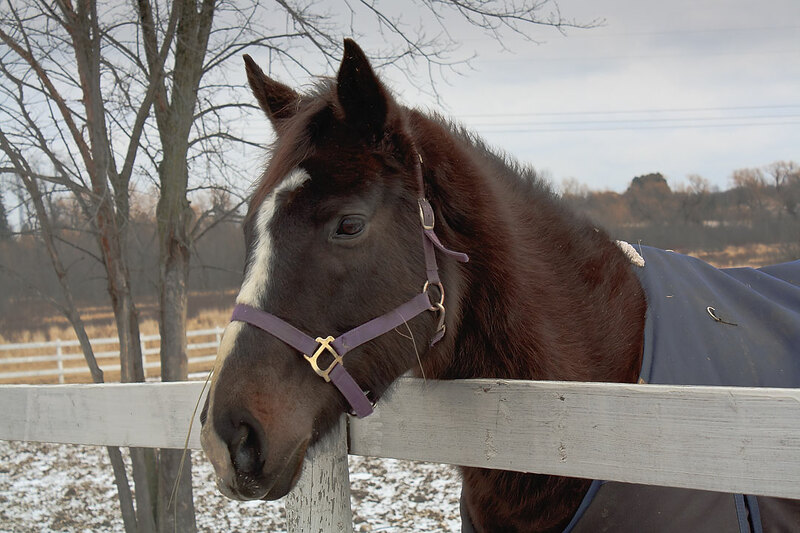 This got the attention of one horse and he became motivated and began walking in my direction. Before I took his photo I had a little conversation with him. When I got back in the car I had a little chuckle when I realize I was talking to this horse as if he could actually reply. It was the off season when I photographed this simple but eye catching mural. 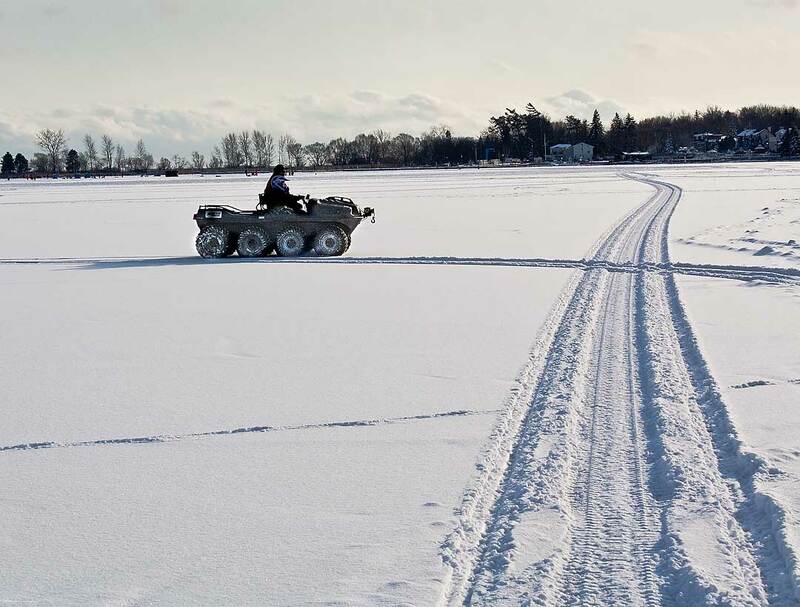 Solid ice brings out all kinds of vehicles..